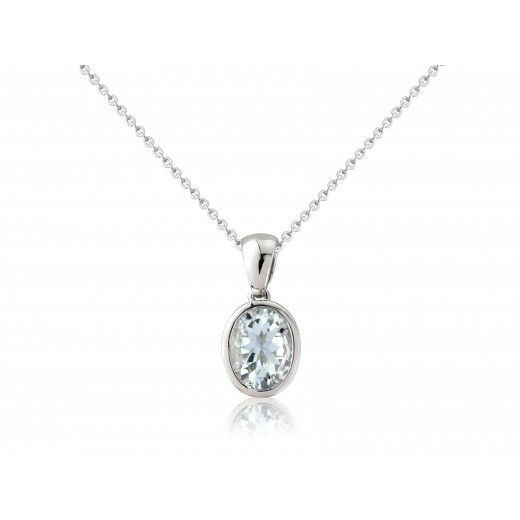 The delicate pale blue of Aquamarine is set beautifully in polished White Gold with a fine trace chain. The smooth rubover setting gives a clean and classic look - perfect for everyday wear. 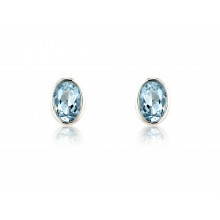 This popular piece makes a special gift as Aquamarine is the birthstone for March. Matching Ring and Earrings are available.